I absolutely love the many, many batik fabrics that are out there. 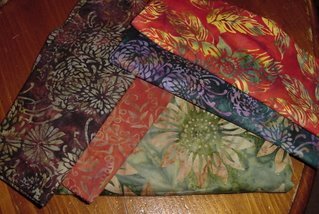 I had not found a pattern that I wanted to use the fabrics in. Then other day at the quilt shop I came across a beautiful quilt made with batiks! They graciously allowed me to take a photo of it. 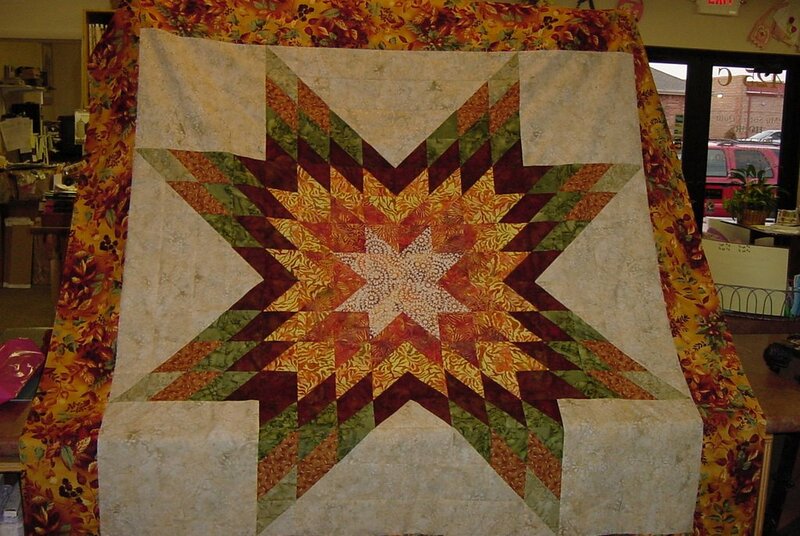 I love the simplicity of the design (all 1/2 square triangles) by Calico Carriage. Slowly I'm collecting batiks, and sometime next year I hope to begin working with them.